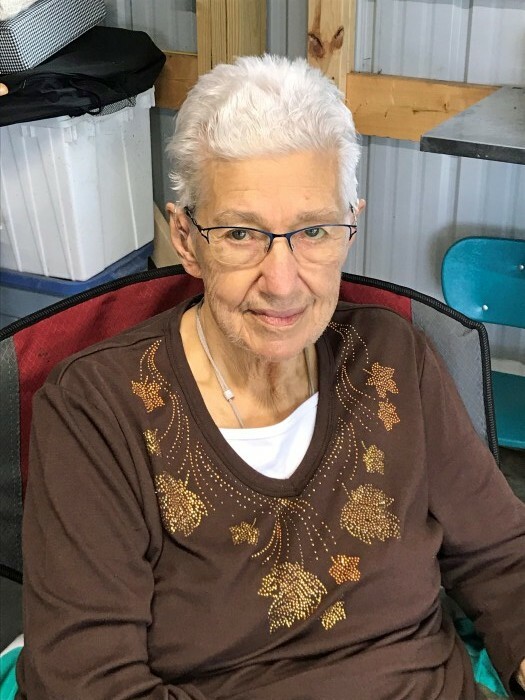 Elener Mae Cronk, age 82, of Marine on St. Croix, died peacefully, Friday, September 14, 2018. Elener enjoyed spending time with her family, knitting, quilting, and completing word finds. She is preceded in death by her parents, Walter and Alice Sachs; husband, Robert; brothers and sisters. She is survived by her children, Deb, Sandy (Ray) Kephart, Rich (Brenda); grandchildren, Jena (Jerry) Kaiser, Krista, Mitch Kephart, Jay Kephart; great-grandchild, Madison Carey; brother, Harvey Sachs; brother-in-law, Ai; sister-in-law, Joan; nieces, nephews; many friends and family. If you were given a quilt or afghan, handmade by Elener, please bring it to the memorial service in loving memory of her. The blankets will all be set on display around the church. Memorial Services will be held at 5:00 p.m., Friday, September 21, 2018 at Christ Lutheran Church, 150 5th Street, Marine on St. Croix. The family will greet friends from 3-5 p.m. prior to the service at the church. To honor Elener’s wishes, in lieu of flowers, please make a donation to a church or charity of your choice.